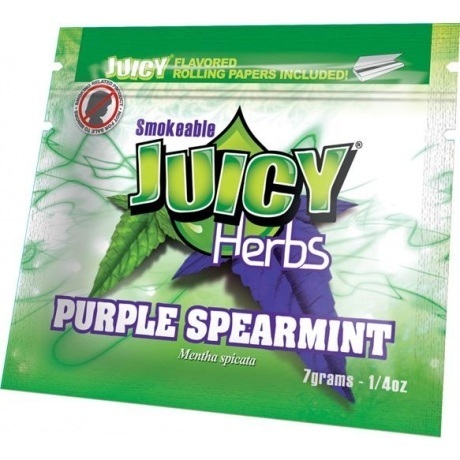 Seven grams of Mentha spicata smokeable Juicy Herbs. Seven grams of Mentha spicata smokeable Juicy Herbs. Refreshing spearmint not only tastes minty fresh but has antioxidant qualities. Also known to soothe stomachs. 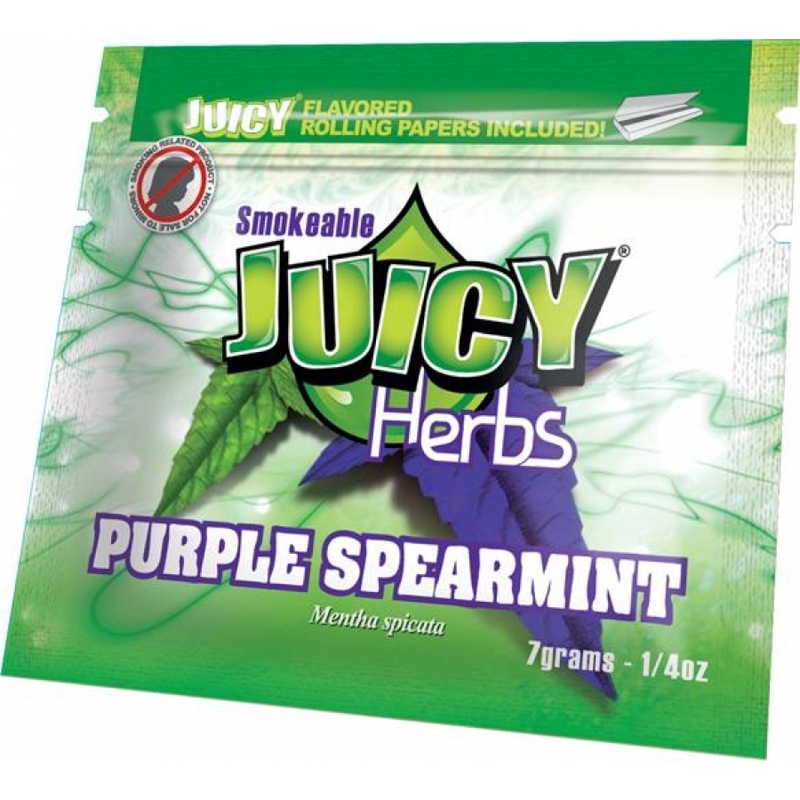 Includes Juicy Jay’s flavored rolling papers! Ready to smoke! It smells like a mix between green and mint tea. The taste is smooth and gives a really relaxing high when smoked by its self. It made me and a friend forget what happened a few seconds after it happened.